Manufacturer of a wide range of products which include acoustic felt. Thickness From 1 mm to 100 mm. Felt can be fabricated into aesthetically beautiful sound abatement treatments for walls, ceilings, and windows for commercial or private use. People generally ignore the effect of Sound reflection in private or commercial areas created due to hard surfaces of Building material like cement, glass, and metal. Hence Sound on one cabin or rpm can also be heard in other areas of the premises leading to echoing and sound distortion. Also, interior spaces can be cold due to such structures. Hence, RP Felt was introduced to provide acoustic insulation with regards to Sound and Heat. Effectively using of RP make Felt leads to better acoustic value to our customers leading to better performances. These products are made subject to the specific requirement and can be duly cut in customized sizes to facilitate quick and easy use and installation. These can be customized to have Soft or Hard Finish as per requirement. 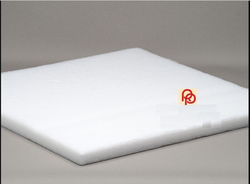 RP Insulation Felt is available in Sheet form. RP Insulation Felt is Ready to use and easy to cut. RP Insulation Felt is Eco-Friendly. RP Insulation Felt is Fire Retardant. RP Insulation Felt is available in Soft or Hard Finish. RP Insulation Felt can be customized as per regular requirements.